If you’re looking for a night out with a difference then you have come to the right spot. 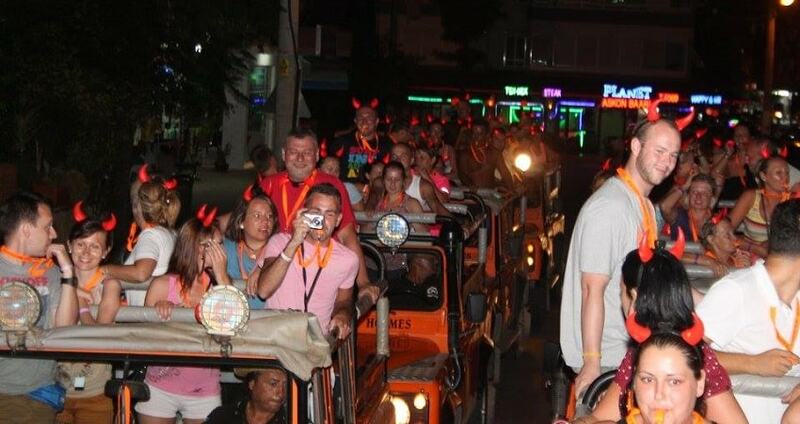 Alanya Night Safari offers fun, adrenaline and a party on the move as we head up into the Taurus mountains and discover Alanya countryside like never before. Enjoy the sunset from an amazing panoramic spot with a glass of wine in your hand. Visit a local nomadic village and watch their captivating shows, try a different dishes at our Turkish dinner and even have a go at our local shisha pipes. A night out with a difference is waiting for you right here. Alanya Night Safari begins when our expert jeep drivers will come to your hotel and collect you at about 7pm. From here it’s straight into the action as we head up to the Alanya castle to get front row seats for that evening’s sunset. As your guide will explain a few details about tonight’s activity you can enjoy a glass of wine of a soft drink as the sun sets on another hot day in Alanya. With each passing minute the sun reveals different shades of red, orange and gold on the surrounding castle and ancient city walls. Romantic, calming, atmospheric. It’s a great way to end the day and start the night. After our sunset we’ll jump into the jeeps and head up into the surrounding mountains to get a view of Alanya at night. The lights dazzle from the city and glisten in the water of the harbour. You’ll want your camera with you as you snap away at the man made yet almost naturally beautiful scene. Our off road adventure continues as we snake our way up along the dirt tracks of the Taurus mountains. We’ll make a fun stop at a nomadic village and have the chance to watch a show performed by local artists. 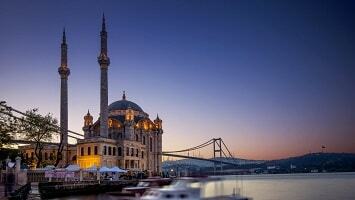 We’ll see traditional dances and songs and get a feel for traditional nomadic hospitality. If you like you can try the local water pipe which is a tradition here. We’ll enjoy a dinner with our new Nomad friends before continuing back onto our safari which will eventually lead us back into Alanya. The journey back to Alanya is just as exciting as the one you took up the mountains. Weaving through the trees and along the bumpy tracks in your jeep. We aim to get you home from your night of dancing and merriment at about 1am in time for some well deserved rest. Our jeep driver will come to your hotel to collect you at about 6:30pm. Whilst there are no strict dress rules for this tour we recommend that you bring a jumper or cardigan in case it gets slightly cooler once the sun goes down. If you would like to experience something different, Alanya Night Safari is surely something extraordinary. We’ll enjoy sunset at the walls of the Alanya castle. As the end of the day draws near the sun radiates stunning colours onto the city and castle walls. This is the most magical hour of the day and is the perfect way for us to start our night safari. Once the sunset is over it is time to turn up the fun and adrenaline. It’s time to jump in the jeeps and head up into the Taurus mountains. 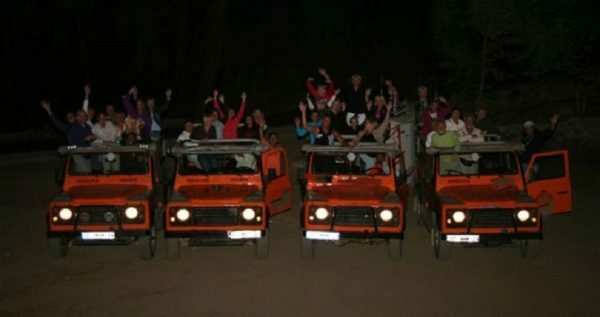 It’s one thing to take a jeep safari in the daytime but at night this experience takes on a whole new meaning. Feel the wind rush through your hair as your driver navigates his way along the dirt tracks, in between the trees and orchards of the hillside. This is a great adrenaline rush and such a fun way to get about. Don’t worry as our drivers are all local and know these roads and how to handle the jeeps expertly. We’ll come to a stop at a fantastic nomadic village. Here local artists will put on a show of dancing and music for us to enjoy. A traditional dinner will be served and you will get to experience what life was like being a nomad. Now there are few people still living this life but back in the day this area was full of such tribes. A great experience underneath the stars and one surely not to be forgotten. If you would like to try and smoke a water pipe you can also do that. 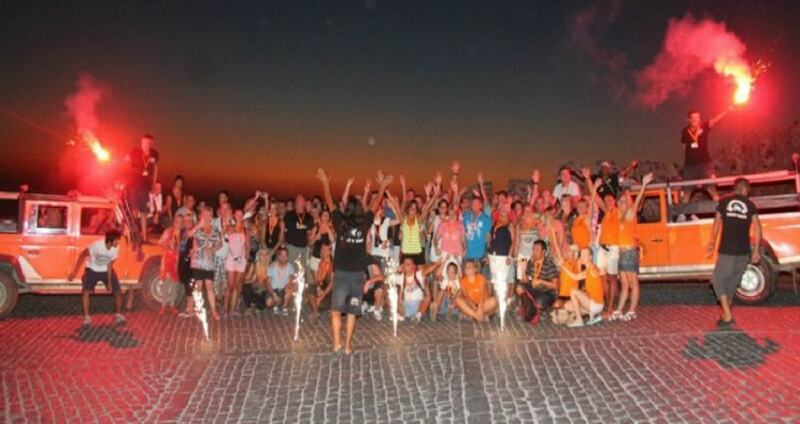 Following dinner and the show we will return back to Alanya as we came. Our jeeps will take us on a last adrenaline fuelled race through the countryside. We aim to return you to your hotel in Alanya by 1am allowing you to return to your beds full of fun memories and having made some new friends. 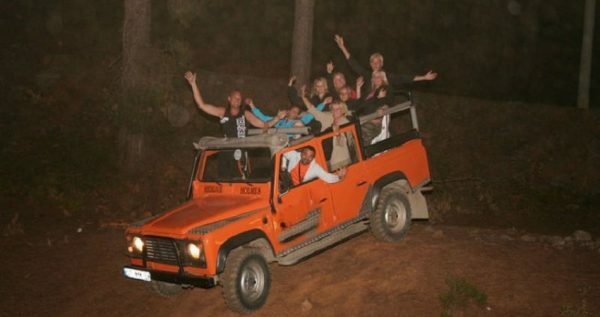 You may like to join Alanya Jeep Safari in daytime.